Tickets for an iconic six weeks of sport and entertainment at Sydney’s world-class thoroughbred racecourses are on sale from today – with discounts of up to 50% for early bookings. Australian Turf Club’s Rosehill Gardens and Royal Randwick this autumn will host some of Australia’s most famous races from Saturday 16 March to Saturday, 20 April 2019. Sydney’s autumn racing program includes the Longines Golden Slipper Carnival, The Championships and Schweppes All Aged Stakes Day, featuring 45 Group races and more than $33 million in prizemoney. General Admission tickets to all six racedays purchased by 31 January 2019 receive a Best Price Guarantee, with a more than 40% discount on adult General Admission tickets and further savings of up to 50% for group bookings of 10 tickets or more. Australian Turf Club Chief Executive, Jamie Barkley, said: “Rosehill Gardens and Royal Randwick offer world-class spectator facilities to enjoy thrilling racing and the vibrant atmosphere of a day at the track. The Longines Golden Slipper Carnival at Rosehill Gardens is headlined by the world’s richest race for two-year-olds – the 63rd running of the $3.5 million Group 1 Longines Golden Slipper on Saturday 23 March. It is the biggest day of Group 1 racing in Australia with five Group 1 races including the $1 million The Agency George Ryder Stakes, won for the past three years by the world’s best racehorse Winx. Off the track, Longines Golden Slipper Day will include a number of high-profile collaborations including the Longines Prize for Elegance and a free concert performance from an internationally recognised artist after the final race. The Longines Golden Slipper Carnival opens on Saturday 16 March with Chandon S Ladies Day featuring the prestigious $600,000 Group 1 Coolmore Classic, and concludes on 30 March with Stakes Day headlined by the $1.5 million Group 1 Kia Tancred Stakes and $500,000 Group 1 Vinery Stud Stakes, as well as family entertainment off the track. 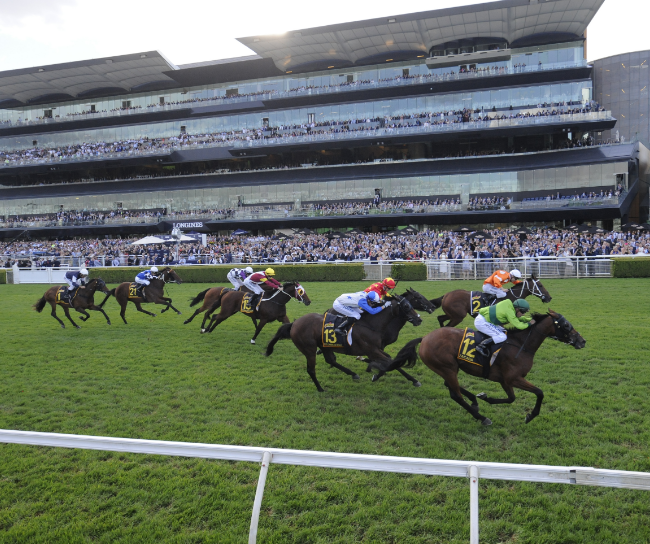 The world-class racing moves to Royal Randwick from 6 April for the traditional Derby/Doncaster Day to open the first week of The Championships. The $3 million The Star Doncaster Mile and $2 million Harrolds Australian Derby are part of four Group 1 races on one of Sydney’s favourite racedays. Day 2 at Royal Randwick on 13 April features the $4 million Longines Queen Elizabeth Stakes and the time-honoured $2 million Schweppes Sydney Cup over the famous 3200m. The Championships Day 2 features four Group 1 races.